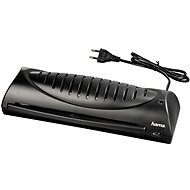 A laminator is a very practical assistant for the office, home, or educational institution. 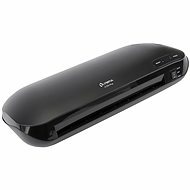 The laminating machine can reliably extend the life of materials and protect prints from damage, dirt and moisture. 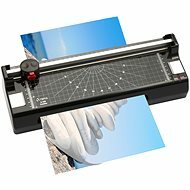 At the same time, it can be used to create and produce signs, business cards, and more. 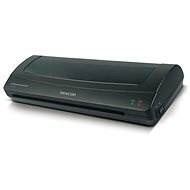 Laminating machines differ in the width of the paper input. As a rule, laminators support A4 and A3 formats, and more if they are larger. 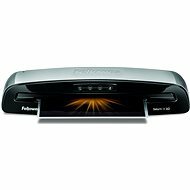 The stated dimension is always maximum but the device can also laminate smaller formats. 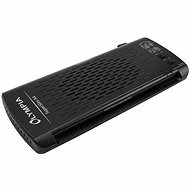 Sometimes referred to as the thickness of the laminated material, the figure indicates the maximum thickness of laminated paper. Paper that is heavier than ordinary plain paper, ie more than (80g/m2), can also be loaded into laminating machines. This indicates the maximum thickness of laminating film that the machine can process. The thickness of the film is expressed in microns (1 micron = one thousandths of a millimeter). The most common film thicknesses are 80, 100 and 125 microns. Generally, the thicker the film is, the harder the resulting laminated document will be. Cheap laminators work at most with a film thickness of up to 125 microns. This parameter is important for frequent lamination; it indicates how long the laminator needs in order to warm up. 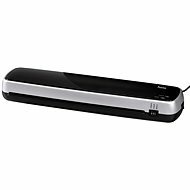 The more expensive laminators heat up in only a minute while cheaper take about 5 minutes. 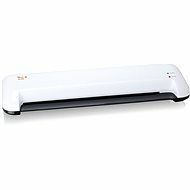 Laminators with longer heating times are sufficient for occasional lamination. 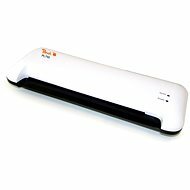 Frequent lamination, for example in offices, require a laminator that is almost immediately ready for use. 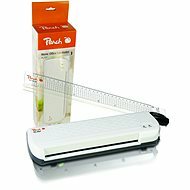 Laminating foils differ in size (format) and thickness. Generally speaking, the thicker the film is, the harder the resulting laminated document will be. The thickness of the foil is given in microns (1 micron = one thousandths of a millimeter). 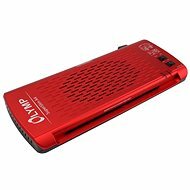 An ideal way to protect your documents and photos against humidity, getting wrinkled, stained, smudged and anything else that can negatively affect their readability and appearance. 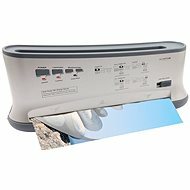 Document is inserted into a plastic film - between two layers of thin transparent foils which are then in thermal laminator safely and reliably adhered to the document. 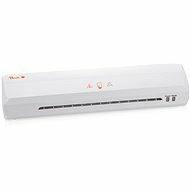 The connection is humid proof and durable. Laminated document is sturdy and hard to bend. Document protected in this way can even be submitted to climatic influences. 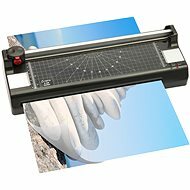 Lamination presents perfect and affordable solution for various signs and information posters, documentations or documents you want to store safely and for a long time in an unaltered condition like photos, diplomas, attestations or certificates.